An Endemousa (Regional) Synod was called in Constantinople in 843. Under Empress Theodora. The veneration of icons was solemnly proclaimed at the Hagia Sophia Cathedral. The Empress, her son Michael III, Patriarch Methodios, and monks and clergy came in procession and restored the icons in their rightful place. The day was called "Triumph of Orthodoxy." Since that time, this event is commemorated yearly with a special service on the first Sunday of Lent, the "Sunday of Orthodoxy." The icon of the Sunday of Orthodoxy, as seen in the photo gallery below, commemorates the “restoration” of icons in the churches and to their use in Orthodox worship. The focal point of the icon is an icon itself, the Virgin Hodegetria, a popular depiction of the Theotokos as “Directress,” or literally “She who shows the way to God.” The icon is carried by two angels. Icon of the Triumph of Holy Icons provided by Theologic and used with permission. Photographs from the Procession of Holy Icons provided by Hellenic College Holy Cross. 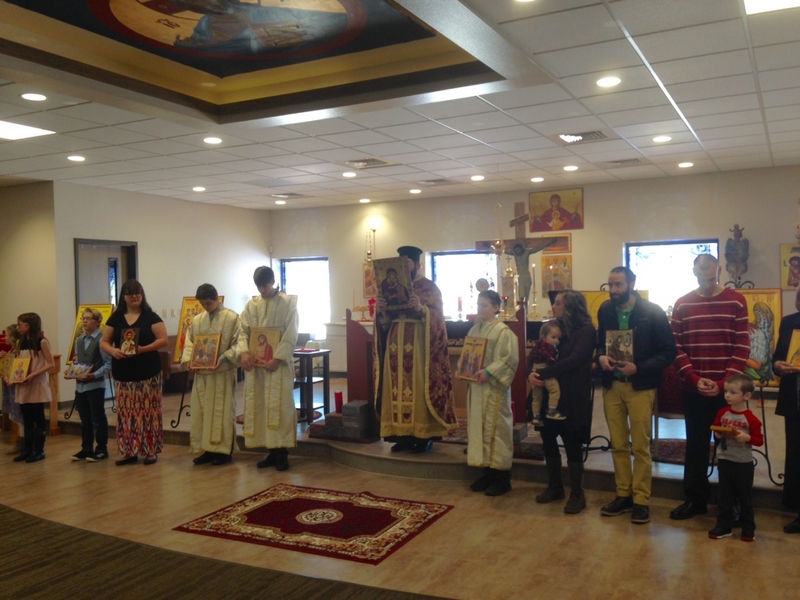 Holy Apostles Staff Writers are contributors from within the Orthodox community in Cheyenne, Wyoming who share event postings and photographs which are posted on this blog in order to enhance the online experience.